From her studio in Rotterdam, Martine Viergever designs highly individual jewelry, which creates a special bond with its wearer. The Gummi bracelet is based on a rubber band. The bracelet is 925 silver. The highest quality silver possible. Martine Viergever brings out the hidden beauty in everyday objects. Martine Viergever designs and makes her distinctive silver jewellery at her studio in Rotterdam. Every piece is handmade and unusual. A rubber band was the inspiration for this bracelet. Viergever is inspired by bits and pieces from everyday life and used this as her starting point for this design. This bracelet is based on a rubber band. 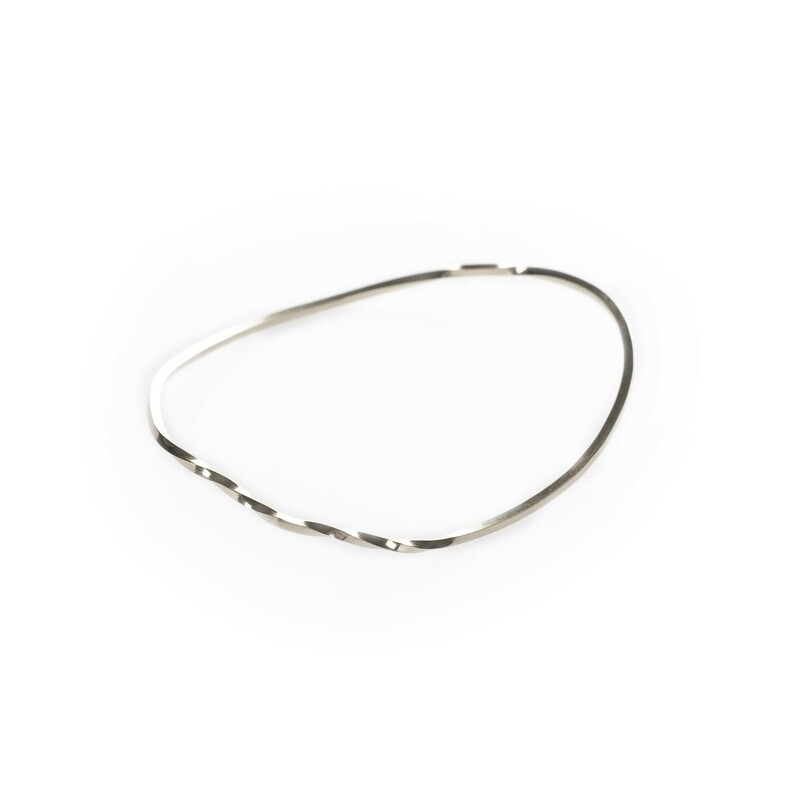 An elastic band is a common sight on a wrist, but this silver version makes this particular band unique. Martine Viergever brings out the hidden beauty in everyday objects. This piece of jewellery has a robust and natural appearance, which combines well with various outfits. Are you looking for jewellery that has a special meaning for you, brings back memories, and catches the eye? This silver bracelet is unusual through its everydayness and through its basis in the much-used rubber band. 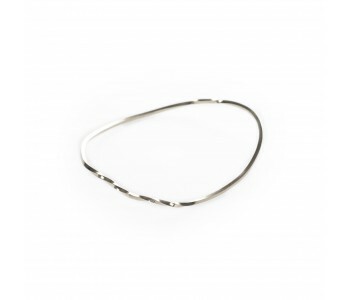 In the same 925 sterling silver quality, Martine Viergever has also created anecklace with a rubber band as a pendant, which combines beautifully with this bracelet. It is just as nice as a treat for yourself or to give as a gift. The bracelet and necklace are delivered in an attractive box. 925 Silver jewellery is 92.5% silver. The remaining 7.5% is an alloy, usually copper or a similar copper substitute. Every piece from Martine Viergever has a 925 silver stamp to demonstrate the quality. 925 silver is silver of the highest quality. Martine Viergever's handmade pieces bring out the hidden beauty of everyday objects. Her collection Things That Might As Well Be...comprises forgotten clutter lying in kitchen drawers and dusty corners, just waiting to be discovered by Martine. Pen lids, hairpins, and things from nature get a silver coating from Martine, transforming them into beautiful items of jewellery that stir up memories.